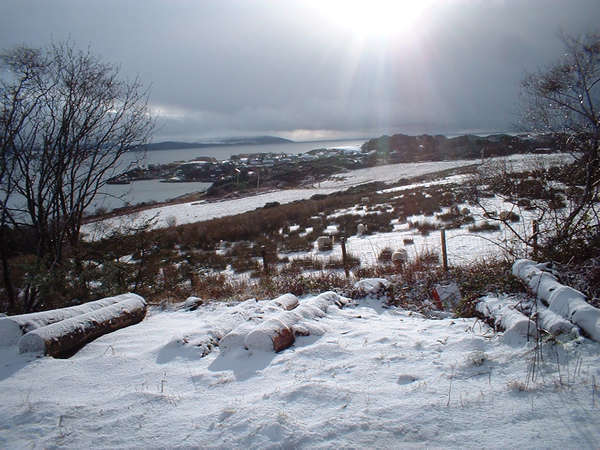 Courtesy of my cousin Sandy MacKinnon who lives in Carradale, these two images were taken in February 2003. The first shows the view along the road from Southend to Keil. The hills of Ireland can be seen in the distance. 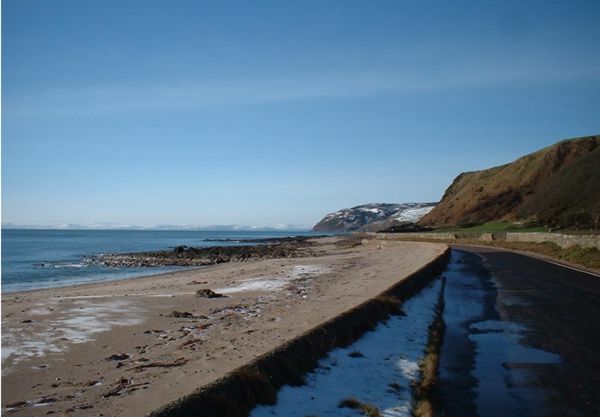 The second shows the snow covered village of Carradale with the island of Arran visible behind.